Lately, I have been thinking a lot about my grad school portfolio. The application deadline is about 10 months away, but one of the things I have lost sleep over before is wondering whether I have images of work that I am satisfied with, and more importantly, that I should start thinking along the lines of cohesive pieces– like tea sets, sake sets, dinner table settings, and pairs and sets of things. 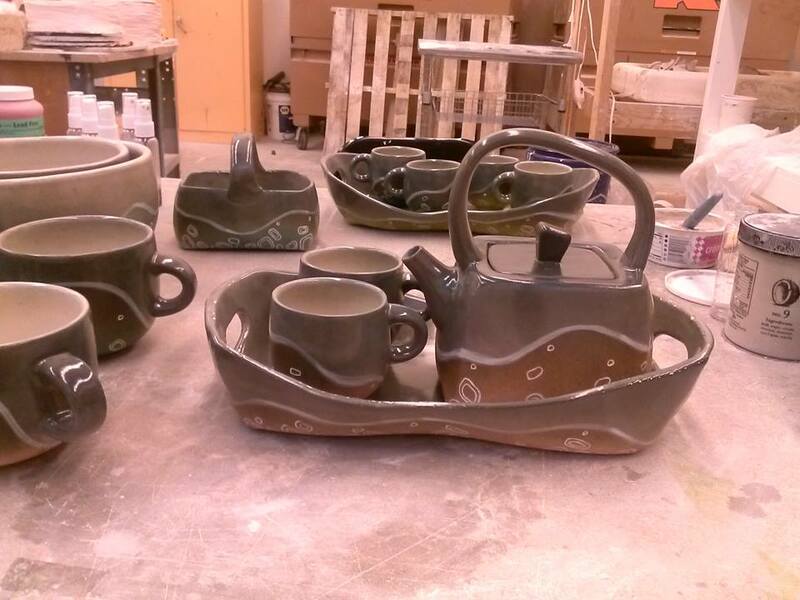 I also decided to focus on refining my teapots. I came up with a teapot design that is unique, spunky, and fun and easy (relative to wheel throwing) to make. Two teapots that I unloaded from a bisque kiln yesterday had THE most perfectly fitted lids I have ever made. The teapot above is an experiment of removing my colors from the equation and letting the porcelain clay stand on its own (with some black embellishments). It is a test of the clay to see whether it slumps when made into a teapot, and whether the seams stay put. I am also curious to see if it stays white after the glaze firing– it is a different porcelain recipe than I used to use. Below is my first official tea set. I am considering the idea of making tea cups without handles, a more Asian design opposed to English teatime. The handles are a little awkward when trying to arrange the cups in the tray, but otherwise I am really happy with it 🙂 I’ve got two more sets almost completed, one in spring green and black, and the other in turquoise and black. This one is plum/mauve and black. 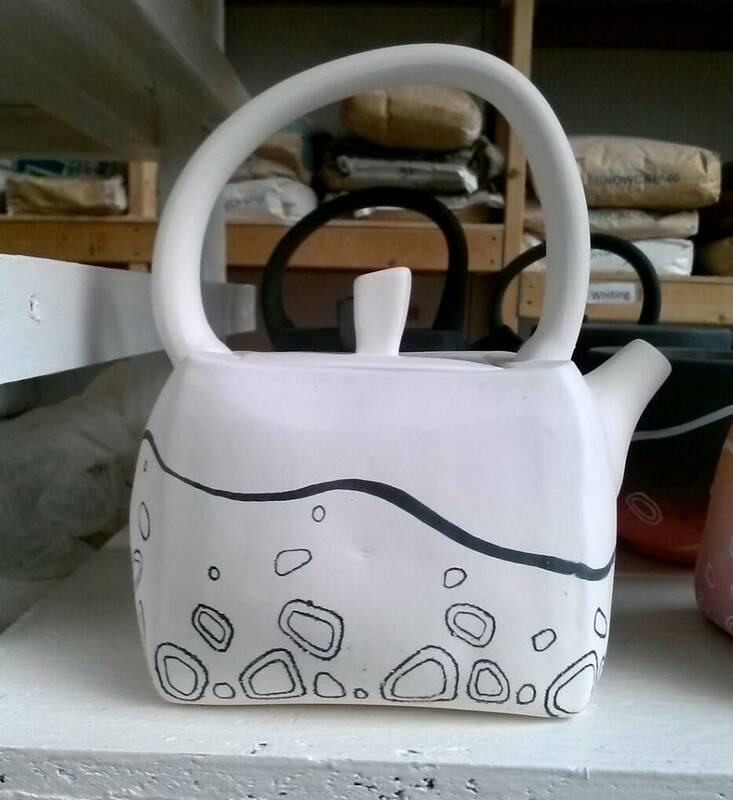 This entry was posted in Art, Ceramics, Daydreaming, Design, Print Making, Science, Uncategorized and tagged art, hand building, hand built teapot, handbuilding ceramics, Kira Call Ceramics, tea pot, tea set, teapot. Bookmark the permalink.